Dr. Rosaly M. C. Lopes is a Senior Research Scientist at NASA’s Jet Propulsion Laboratory, where she is also Deputy Manager for Planetary Science. Dr. Lopes was born and raised in Rio de Janeiro, Brazil, where she grew up by the famous Ipanema Beach. She moved to London,England, to study astronomy at the University of London, from where she graduated in 1978. For her doctoral studies, she specialized in planetary geology and volcanology and completed her Ph. D. in Planetary Science in 1986. 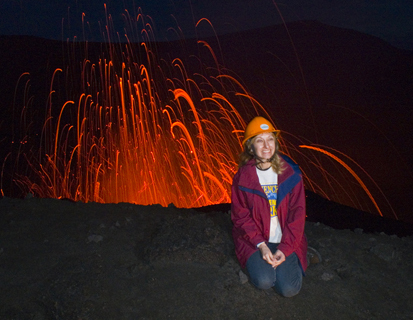 Her major research interests are in planetary and terrestrial geology and volcanology. During her Ph.D. she traveled extensively to active volcanoes, particularly Mount Etna in Sicily, and became a member of the U.K.’s Volcanic Eruption Surveillance Team. Dr. Lopes joined JPL as National Research Council Fellow in 1989 and, in 1991, became a member of the Galileo Flight Project, a mission to Jupiter. She was responsible for observations of Jupiter’s volcanic moon Io from 1996 to 2001, using Galileo’s Near-infrared mapping spectrometer. During this exciting period of her career, she discovered 71 active volcanoes on Io, for which she was honored in the 2006 edition of the Guinness Book of World Records as the discoverer of the most active volcanoes anywhere! Dr. Lopes is currently a member of the Cassini Flight Project, with the role of Investigation Scientist on the Cassini Titan Radar Mapper Team. She is studying the geology of Titan, Saturn’s largest moon, particularly its strange ice volcanoes. In 2006, she was elected Fellow of the American Association for the Advancement of Science for her contributions to the studies of volcanism on Earth and the planets. She is also a member of the International Astronomical Union, the American Geophysical Society, and Fellow of the Explorers Club and of the Royal Geographical Society. She chairs the Outer Planets Task Group of the International Astronomical Union’s working group for planetary system nomenclature, and is therefore responsible for overseeing the naming of features on the outer planets and satellites. Dr. Lopes has written nearly one hundred research papers, articles, book chapters and encyclopedia entries. In addition to her science work, she is a strong supporter of education, diversity, and outreach, nationally and internationally. She has given numerous public lectures in Europe, the Americas, Africa, and Asia. She has been active in the media, giving hundreds of interviews, and has been featured on sixteen TV documentaries, including for National Geographic, Discovery, Science, and History channels. She has published five books, “The Volcano Adventure Guide” (Cambridge University Press, 2005; Portuguese translation 2008), “Volcanic Worlds: Exploring the Solar System Volcanoes” (Praxis-Springer, 2004; co-edited by Tracy Gregg), “Io After Galileo” (Praxis-Springer, 2007, co-edited by John Spencer), “Alien Volcanoes” (John Hopkins Press, 2008, co-authored by Michael Carroll), and “Volcanoes: A Beginner’s Guide” (Oneworld Publishing Co., UK, 2011). She is co-editor of “Modeling Volcanic Processes” (Cambridge University Press, in production). In 2005, Dr. Lopes won the prestigious American Astronomical Society’s Carl Sagan medal for excellence in communicating science to the public. Among her other awards are the Wings Women of Discovery award (2009), the NASA Exceptional Service Medal (2007), the Women at Work Medal of Excellence (2006), the Latinas in Science medal (1991), and the GEMS TV Woman of the Year in Science and Technology Award (1997). see the full interview after the jump! What first made you decide to research volcanoes? Dr. Rosaly Lopes at Mt. 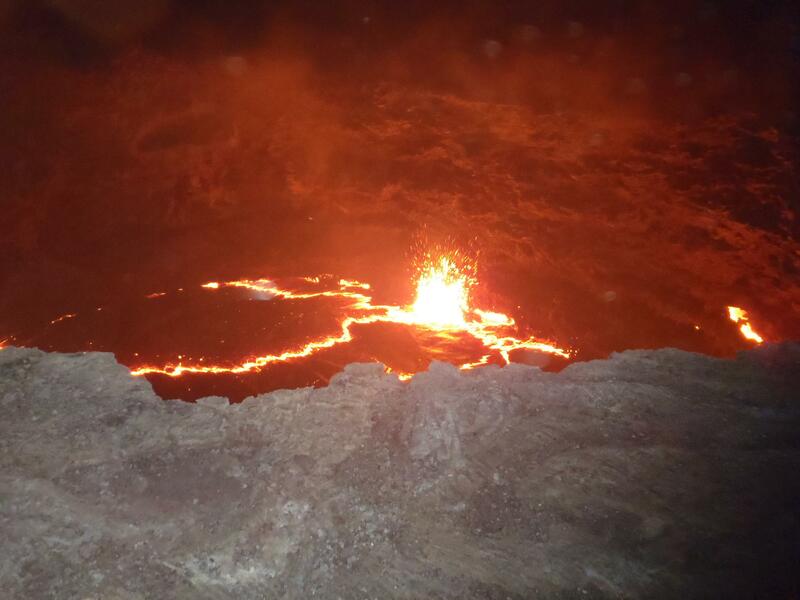 Yasur, Vanuatu. I was in the final year of my Astronomy degree at University College London and taking a class in Planetary Geology, which I found fascinating. One day the professor didn’t show up and sent a postdoc as a substitute. He said Mount Etna had erupted, and Dr. Guest had to go. I was always adventurous and I thought seeing a volcano erupt sounded a lot more interesting than going to some cold observatory somewhere. I loved the class more than any others I took and went to see Dr. John Guest to ask if he would consider taking me on as a graduate student. He did and I was his first student who didn’t have a geology degree. I said I was interested in volcanoes and, right in my first year, he told me I couldn’t understand volcanoes on other planets if I didn’t understand them on Earth. He took me along on his field campaigns to Mount Etna and, right in the first season, the volcano had a beautiful eruption. I was hooked. 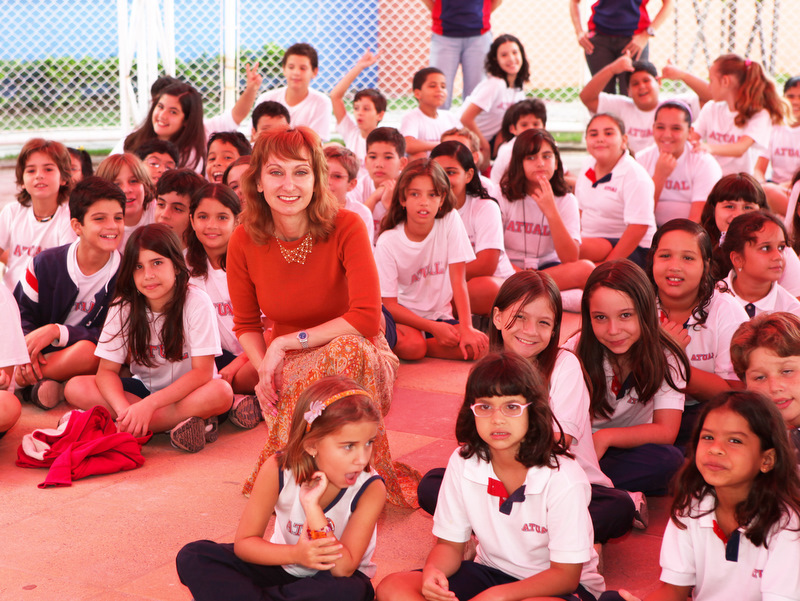 In 2009, Dr. Lopes visited four school in Brasil supporting the Thornburg Center. What made you choose the university you attended? Who was your primary advisor? I was doing my undergraduate at University College London and it’s common in England for students to stay at the same university for their Ph.D.s. Dr. John Guest inspired me as an undergraduate and I chose to work with him. Where did you get your first volcano related job? As a postdoc at the Vesuvius Observatory in Naples, Italy. Crazy place, but wonderful people. What would you rate as the best experience you’ve had while working on a volcano? I’ve seen eruptions in many different places, but the Erta Ale lava lake was the most awesome. The lake level was really high when I visited in February 2011 and it had overflowed the pit where it is normally active. The lake appears to be alive, breathing and heaving, with exploding fire fountains. It was like being at the edge of Hell. I loved it! I have had many funny experiences, from cooking on lava flows to fending off admirers. Since the trip to Erta Ale is fresh in my mind, I’ll recount one funny thing there. On the way to the volcano (by land) my colleagues and I stopped to camp at Hamad Ela, a very small Afar village. They had “showers” consisting of small enclosures that covered me from feet up to shoulders. The way it worked is that you took a bucket of water inside and “showered” the best you could. It was strange looking out but really funny when I saw a camel caravan passing by. There were probably more than one hundred camels, the late afternoon light was beautiful, and I thought this is what being away from civilization is all about – showering watching camels go by. It was a great experience. The trip to Erta Ale had many strange moments. Being escorted to the top by local Afar tribesmen carrying AK-47s was not the usual field work scenario. Hearing shots coming in our direction when hiking down the volcano was strange, but I wasn’t really worried. I just hiked faster. Later I found out that a couple of Australian tourists who had also hired the tribesmen had paid the Afar to let them shoot their AK-47s. It would have been nice if they hadn’t shot the guns in the direction of my group! Have you ever been scared or really worried while working on a volcano? Have you ever been injured while working on a volcano? Rosaly does not scare easily!! I was in Montserrat in the Tar River Valley with a colleague and a cameraman who was interviewing us for a documentary. When it was my colleague’s turn to be interviewed, he had his back to the volcano, the cameraman was looking into his lens, while I had a clear view of the volcano and the valley. I saw a pyroclastic flow form and come start to come down. I didn’t know if it would come very far, and didn’t want to spoil the shot by speaking up, but then I started to get seriously scared. My more experienced colleague turned around at my prompting and said “oh, those are just small ones” and continued the interview. I was fine after that, but because I generally work on basaltic volcanoes, I have little experience of pyroclastic flows and they scare me. What was the worst thing that you’ve experienced on the job. Did it make you consider changing professions? Mount Etna had an unexpected explosion from its Bocca Nuova in 1979, during my second season of field work. Our group was about a mile away and we just saw a black cloud coming out of the crater. We started to drive up to see what had happened, and came across tourists running down the mountain. They said some people who had been at the top were injured or dead. We helped the best we could until the army arrived and took over. It turned out several people had been hit by bombs and died. That evening I saw a young woman being helped by two older women who worked at the lodge where we stayed. The young woman looked so distraught that I’ve never forgotten the look in her face. Later one of the older women told me she was on honeymoon and had seen her husband die. Later I saw a little boy with some of the army guys, who were being really nice to him. Someone told me later that both his parents had died. I have always hoped that this information was wrong. It was an awful time, but it never made me give up my work. Instead, I felt that we had to understand volcanoes better, so we could avoid those situations in the future. What advice would you give to someone considering a career in volcanology? Go for it! There are many different types of careers you can have. You don’t need to be adventurous and like field work, you can be a modeler, but I think that anyone, no matter what they do, should try to experience a volcanic eruption at least once in their life. This is why I wrote “The Volcano Adventure Guide”. 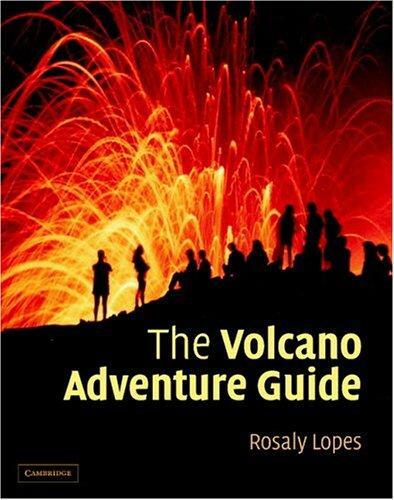 You can get a sneak peak inside and purchase “The Volcano Adventure Guide” here!